We are proud to present menus which showcase the skills and talents of our hospitality and cookery students at our Granton campus. Our students are studying the art of cookery under the expert guidance of trained professionals. Premium quality produce and attention to detail are the main ingredients for our menu choices which reflect the different levels of study and expertise. We hope that you will join us for a culinary experience and support the up and coming talent of the future! Superb quality food and service as usual. Looking forward for next reservation. We always have a lovely evening at the Apprentice Restaurant..
Last Thursday was particularly good in every way. Special mention for the excellent service and for the way the kitchen coped when there was a gas problem. The practice last month when the fire alarm went off and Vikki showed everyone ‘exactly How to cope in a crisis” must have been a lesson well learnt. Thank you all for these delightful evenings that we all look forward to so much. I found the waiting staff very confident and professional - well done. Service was excellent, good was superb. We had such a lovely time here. The service was excellent and the meal was amazing and we were all total stuffed after it. We found it very relaxing and the attention to detail was brilliant. You can see the students are putting a lot of hard work into this and they deserve all the credit for it. I have been to a lot of restaurants which have been more expensive but this experience was a lot better compared to a lot of restaurants up town. It is amazing value for what you pay but I would have paid more also for the experience. I thought it was great when all the students were asking how they had done and they received 110% feedback from us and we will be coming back and ill spread the work. Keep up the great work and if you have not been just go. The soup and the dessert were very good. The Thai green curry would have been better with less meat, more vegetables and more sauce with more spices and perhaps some coconut milk. All good - it might be a good idea to have a vegetarian option - I am not vegetarian but a lot of my friends are. It might also be good to bump up the vegetable component of the meat dish e.g. less lasagna and more salad. Delicious meal served by two lovely students. Great value for money. Will be back. Outstanding meal on 12.12.18. Food beautifully prepared and presented. Easily as good as many so called high end places in town. Excellent value for money. Attention to detail made it a really memorable experience. Top marks to front of house staff too. Great lunch. Well done to all the staff. Keep up the good work. All wonderful - maybe just try and improve the booking system so it is easy to do online. It would have been nice if the server could have recommended an appropriate wine for the main course. Hopefully you will continue to get the recognition this restaurant deserves. Such a great way to learn for students and for guests to experience an amazing dinner. It was a very nice experience. The only thing you could improve on is that the meat was tough. The students and staff were all very welcoming and the service provided by the front of house team was was excellent. 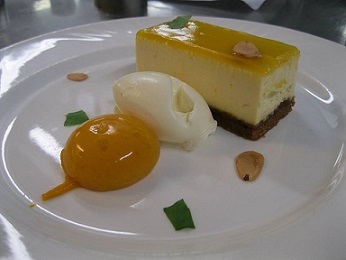 The food was fabulous, presented beautifully and outstanding value for money. I will be re-visiting the restaurant again in the run up to the Christmas period with my daughter. Well done Edinburgh College on providing an excellent training environment for your students and  giving them the chance to prepare for working life following their training period. It took longer than expected for our order to be taken (drinks and food approx 15 mins from being seated) however we think this was down to a communication error between staff. The food was really good although my partners tuna had 4 bones in it, and the chicken starter was served luke warm so we weren’t sure if it was meant to be hot or cold. The rest was great and we really did enjoy the experience. Beautiful food, full of flavour, gorgeous presentation. 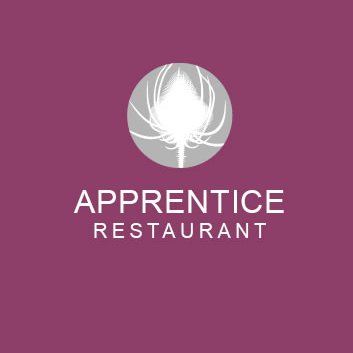 We’ve been to the Apprentice several times and this was one of the best meals we’ve had. Top quality. It was a lovely evening. The food was delicious, all the students worked very hard. The restaurant is a little dark - particularly to read menus, but that is the only tiny drawback. 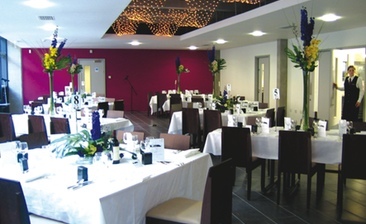 Outstanding value for money, fine dining for a fraction of the usual price, the whole party enjoyed the evening, it was lovely to meet the head chef and to interact with the waiting and bar staff. We will definitely be back. Slightly too dark, otherwise lovely setting. Fantastic evening. Couldn't recommend highly enough. Delicious food. Excellent service. Phenomenal price tag. We really enjoyed our evening and food. I would suggest however if a course is a cold dish to perhaps identify that on the menu. Two of our starters were cold dishes which was unexpected and we would probably have chosen alternatives if we had been aware. The set up of the restaurant is nice in that you are not right next to other diners but we were beside a completely empty fridge unit which had it had something interesting (like desserts!) to look at it would have been more interesting. We will definitely return when there is a new menu I believe in the Spring and have recommended the restaurant to friends. We thought the meal was great value and the staff and students were lovely.